The Howard University Showtime Marching Band is the best band in the world. That’s right I said it. And on January 24, 2015, they will prove how great they are during the 13th annual Honda Battle of the Bands Invitational Showcase in Atlanta, GA. 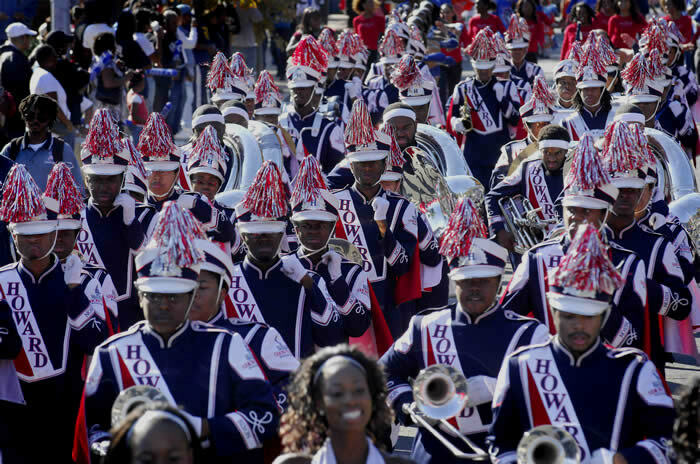 In addition to Howard’s band, seven other HBCU Bands were selected to participate in the Battle of the Bands through a process that included online fan voting and feedback from band directors, HBCU school presidents, and representatives from Honda. The participating eight HBCUs will receive a $20,000 grant from Honda to support their music education programs, plus travel to and accommodations in Atlanta for the Invitational Showcase. Not only will the 2015 Invitational Showcase deliver incredible musical performances, but it will also feature the first-ever Honda Battle of the Bands Power of Dreams Award. Participating teams and fans will have the opportunity to nominate an outstanding member of their community who is working to help students achieve their dreams. Honda will then select a winner who will be recognized in Atlanta at the 2015 Honda Battle of the Bands Invitational Showcase.